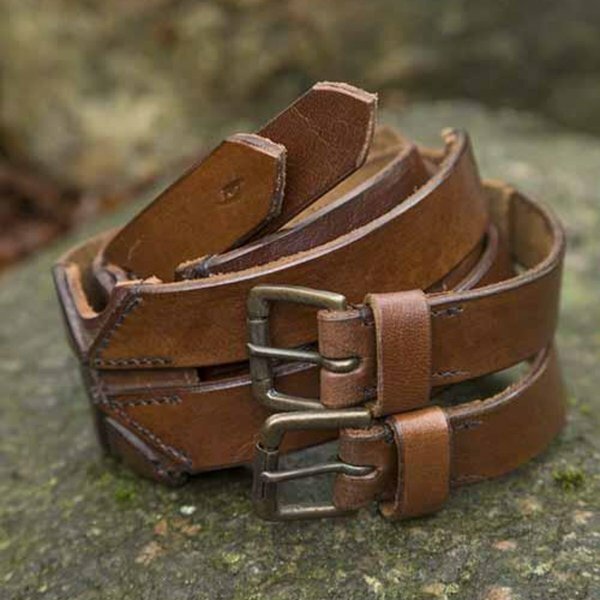 This practical leather belt is made from a high quality vegetable tanned leather. 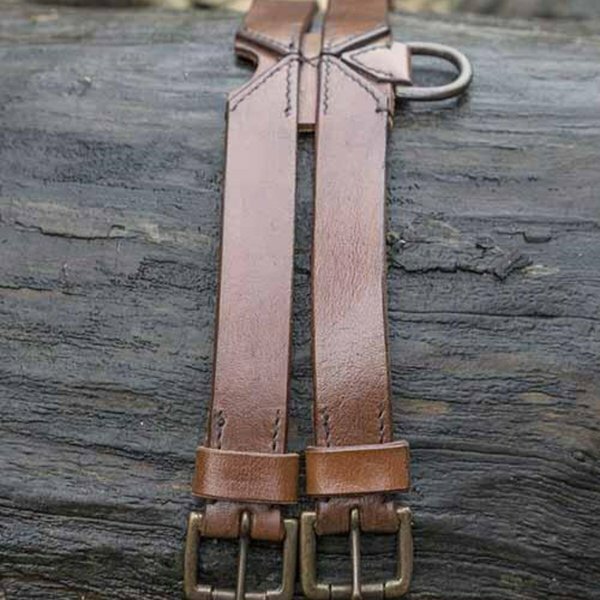 The belt consists of two single belts that are connected by four X-shaped leather inserts. 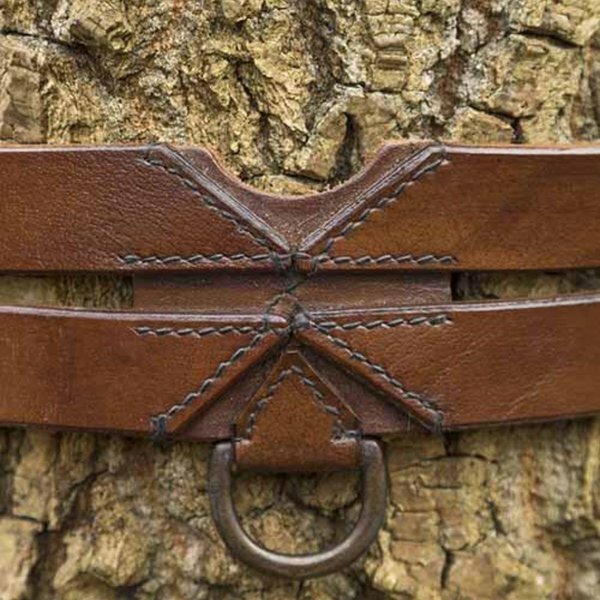 The belt has four brass rings that are incredibly useful for hanging equipment, such as a pouch, LARP knives, food and the like. You can tie things together and attach them to the rings with straps and ropes. 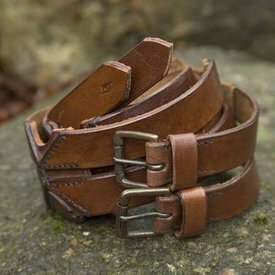 This way you can customize the belt to your own LARP, Cosplay or fantasy costume. 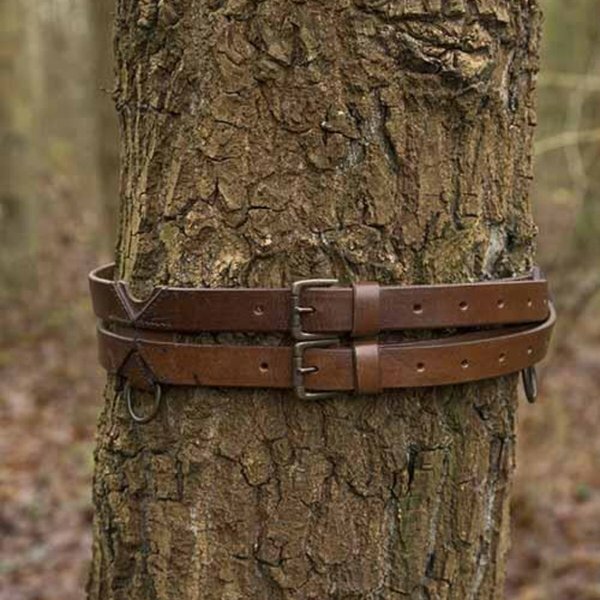 The belt is multifunctional and suitable for all LARP characters. Looks great above a tunic but can also be combined with dresses or to wear over a cloak.